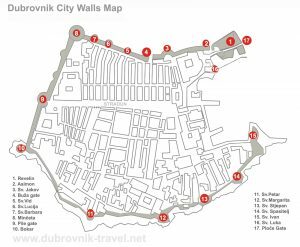 Dubrovnik Map – click on above image to see a large map of Dubrovnik Old Town. 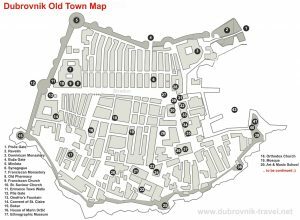 This Old Town map is created by me, the webmaster 🙂 It took me ages to make it and it is still work in progress. I will add more stuff to it later. Feel free to print this map for your personal use. In case you want to use it for any other purpose, please email me so I can send you the original one. 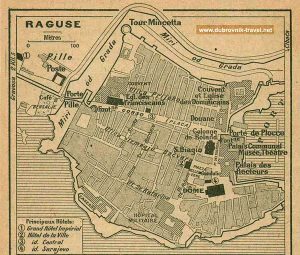 Also, check other maps below as well as some old maps that are also uploaded to the site. Map of beaches in Dubrovnik – location map of popular beaches and swimming spots. 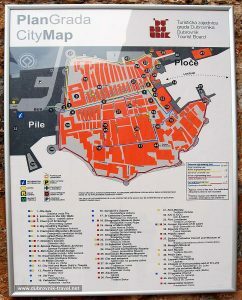 Plan Grada / City Map is displayed as a large poster on the wall of Pile Gate. You will see it displayed on the wall as soon as you enter in the Old Town. Take a photo of it to help you go around the town. 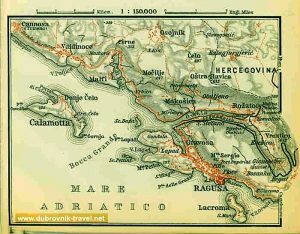 The map is published by Dubrovnik Tourist Board. 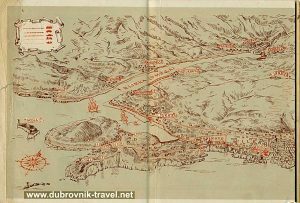 Visitors Map of Dubrovnik is another official detailed map of Old Town, published by the local tourist board. 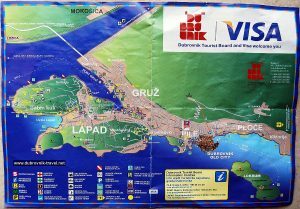 This map is available for free on several tourist info points in the town as well as at the Dubrovnik Airport. 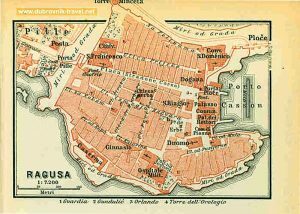 Map of the suburbs of Dubrovnik includes the whole city – basic info for visitors about Lapad, Gruž, Boninovo.. 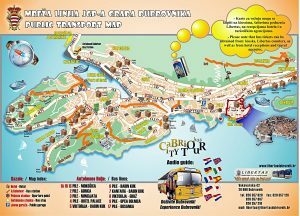 Published by local tourist authority and printed on the other side of the Visitors map. Free map to collect. 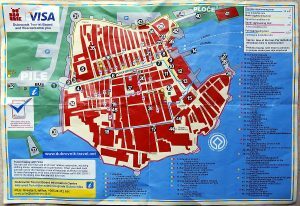 Public Transport Map of Dubrovnik – detailed plan of the whole area with bus lines that run around the town. Essential if you are staying out of Old Town (in Lapad or Gruž). Free to collect from Libertas offices.